Last Thursday at a house on South 19th and L Street in Tacoma’s Hilltop neighborhood there was a loud argument that had turned violent. A 37-year-old man was convinced that a coworker and roommate was romantically involved with his live-in girlfriend. He beat the roommate with his fists and a chair and also assaulted his girlfriend. Police arrived and found a 25-year-old man named AJ Geissler bloodied and injured. They arrested the 37-year-old and took him to jail. The man they arrested was no stranger to the law. In the last two years alone he’d been arrested four times for domestic violence though only charged in one of those cases. Before that, his ex-wife had gotten two restraining orders on him in 2008 and 2010. In 2012 another roommate got a restraining order against him after an assault. The Tacoma Municipal Court had not finished reviewing the case and since he had not been charged, he was released from jail on Friday. Hours after being released from jail, the man returned to the house on Friday and assaulted three individuals at the house. He killed AJ Geissler, the man he’d assaulted the night before. He also killed 59-year-old Denyse Marshall, his girlfriend’s aunt who was staying at the house while she went through a divorce. He also wounded a third person. 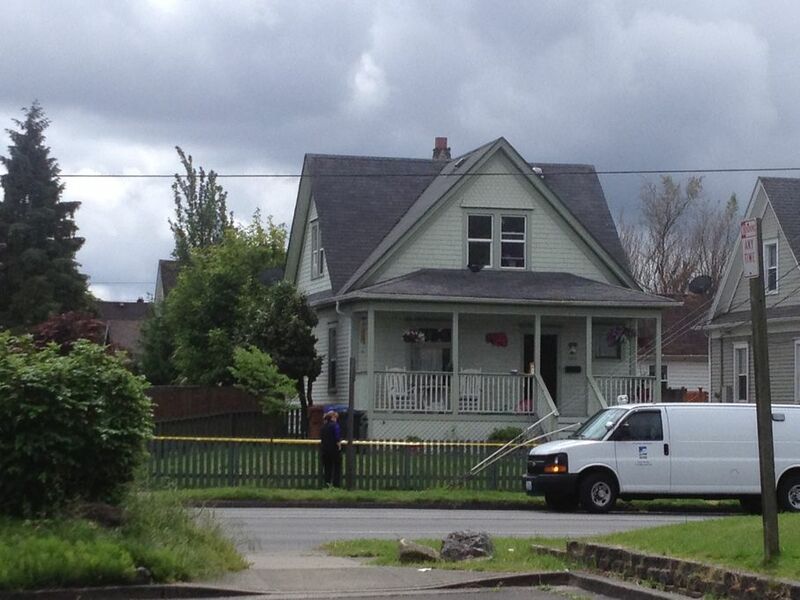 Denyse and Joseph are the third and fourth homicides Tacoma has had this year. This is as low as the homicide rate has been at this point in the year since I started writing about Tacoma’s homicides. Of course this does not lessen the impact by family and friends devastated by the loss of these two individuals. Their killer has been arrested. Unfortunately no amount of justice is going to bring any real solace to the grieving friends and family of the victims. Sudden losses like this are catastrophic. Denyse Marshall and AJ Geissler were citizens of Tacoma deserving of a full life that was cut short. What we can do now is remember Denyse and Joseph and share any memories we have of them. The comments section is reserved for friends and families of the victims. I moderate and approve all comments before they appear. I am sorry for your loss. This photo is actually a combination of six photos I took from my phone yesterday morning using my phone. It was taken from the office building I work in.